Vitreous is defined as a glass-like luster. Example: Moonstone can exhibit a vitreous luster. A subvitreous luster is somewhat less glass-like. 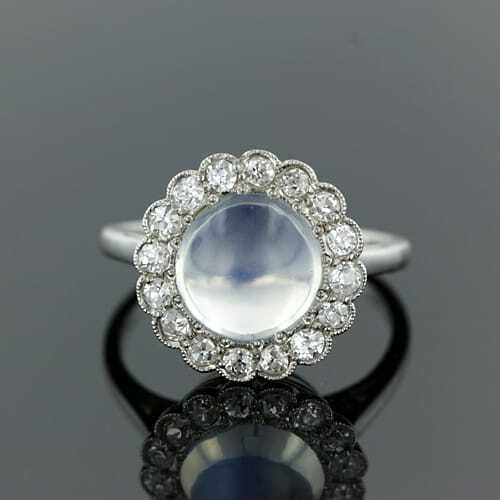 This Art Deco Moonstone Ring is an Excellent Example of a Stone with Vitreous Luster.